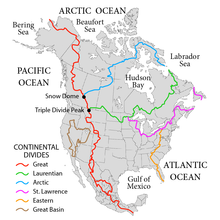 North America is a part of Earth and consists of the following regions: Northern America, Central America, Caribbean. See North America interactive map with the information about travelling to North America. The most popular means of transportation in North America. Gulliway has a special source for travelling activities in North America. Independent travel to North America. Want to travel to North America on your own? Are you looking for more travel information about North America? We have routes through many cities. Please check our: routes through Toronto, routes through Phoenix, routes through Watertown, Florida, routes through New York City, routes through Punta Cana, routes through Guantánamo, routes through Bermuda, routes through La Chorrera, routes through Croix-Des-Bouquets, routes through Ecatepec De Morelos. Our statistic says, the most popular travelling activities are: Wine & Beer Tasting, Driving tours, Art, Museum, Theater, Hot Air Ballooning, Sightseeing, Romance, National parks, Boating, Sailing, Archeology, Wilderness Adventures. 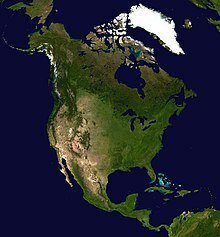 Wikipedia about North America: North America on our wiki pages. 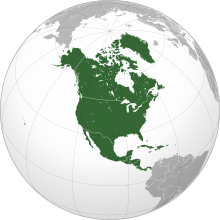 North America covers an area of about 24,709,000 square kilometers (9,540,000 square miles), about 16.5% of the earth's land area and about 4.8% of its total surface.North America is the third largest continent by area, following Asia and Africa, and the fourth by population after Asia, Africa, and Europe. In 2013, its population was estimated at nearly 579 million people in 23 independent states, or about 7.5% of the world's population, if nearby islands (most notably the Caribbean) are included. 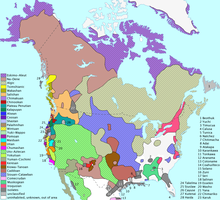 The term North America maintains various definitions in accordance with location and context. In Canadian English, North America may be used to refer to the United States and Canada together. Alternatively, usage sometimes includes Greenland and Mexico (as in the North American Free Trade Agreement), as well as offshore islands. 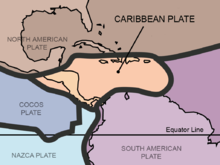 The UN geoscheme for "North America" separates Mexico from the United States and Canada, placing it instead within its designated "Central America" region, while also treating the islands of the Caribbean separately from the US/Canada definition—the UN's "North America" definition still includes the Canadian Arctic Archipelago and Greenland together with the US/Canada continental definition, with both insular entities being tectonically on the North American plate. 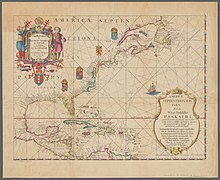 The term Northern America refers to the northern-most countries and territories of North America: the United States, Bermuda, St. Pierre and Miquelon, Canada and Greenland. 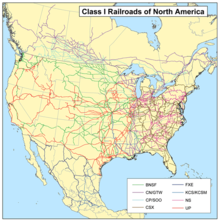 Although the term does not refer to a unified region,Middle America—not to be confused with the Midwestern United States—groups the regions of Mexico, Central America, and the Caribbean. United States 7006962909100000000♠9,629,091 322,179,605 32.7 Washington, D.C. The earliest verifiable instance of pre-Columbian trans-oceanic contact by any European culture with the landmasses that geologically constitute the "mainland" of modern North America has been dated to the end of the 10th century CE – this site, situated at the northernmost extent of the island named Newfoundland, is known as L'Anse aux Meadows, where unmistakable evidence of Norse settlement was uncovered in the early 1960s. Britain, Spain, and France took over extensive territories in North America – and fought over them. In the late 18th century and beginning of the 19th, independence movements that sprung up across the continent, led to the creation of the modern countries in the area. The 13 British colonies on the North Atlantic coast declared independence in 1776, becoming the United States of America. Canada was formed from the unification of northern territories controlled by Britain and France. New Spain, a territory that stretched from modern-day southern US to Central America, declared independence in 1810, becoming the First Mexican Empire. In 1823 the former Captaincy General of Guatemala, then part of the Mexican Empire, became the first independent state in Central America, officially changing its name to the United Provinces of Central America. The United States Geographical Survey (USGS) states that the geographic center of North America is "6 miles [10 km] west of Balta, Pierce County, North Dakota" at about 48°10′N 100°10′W﻿ / ﻿48.167°N 100.167°W﻿ / 48.167; -100.167 , about 24 kilometres (15 mi) from Rugby, North Dakota. The USGS further states that "No marked or monumented point has been established by any government agency as the geographic center of either the 50 States, the conterminous United States, or the North American continent." Nonetheless, there is a 4.6-metre (15 ft) field stone obelisk in Rugby claiming to mark the center. 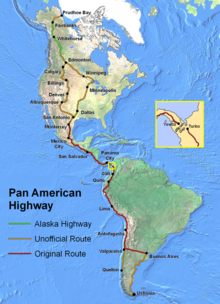 The North American continental pole of inaccessibility is located 1,650 km (1,030 mi) from the nearest coastline, between Allen and Kyle, South Dakota at 43°22′N 101°58′W﻿ / ﻿43.36°N 101.97°W﻿ / 43.36; -101.97﻿ (Pole of Inaccessibility North America) . 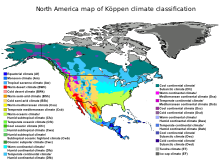 North America is a very large continent which surpasses the Arctic Circle, and the Tropic of Cancer. Greenland, along with the Canadian Shield, is tundra with average temperatures ranging from 10 to 20 °C (50 to 68 °F), but central Greenland is composed of a very large ice sheet. This tundra radiates throughout Canada, but its border ends near the Rocky Mountains (but still contains Alaska) and at the end of the Canadian Shield, near the Great Lakes.Climate west of the Cascades is described as being a temperate weather with average precipitation 20 inches (510 mm).Climate in coastal California is described to be Mediterranean, with average temperatures in cities like San Francisco ranging from 57 to 70 °F (14 to 21 °C) over the course of the year. Stretching from the East Coast to eastern North Dakota, and stretching down to Kansas, is the continental-humid climate featuring intense seasons, with a large amount of annual precipitation, with places like New York City averaging 50 inches (1,300 mm).Starting at the southern border of the continental-humid climate and stretching to the Gulf of Mexico (whilst encompassing the eastern half of Texas) is the subtropical climate. This area has the wettest cities in the contiguous U.S. with annual precipitation reaching 67 inches (1,700 mm) in Mobile, Alabama.Stretching from the borders of the continental humid and subtropical climates, and going west to the Cascades Sierra Nevada, south to the southern tip of durango, north to the border with tundra climate, the steppe/desert climate is the driest climate in the U.S. Highland climates cut from north to south of the continent, where subtropical or temperate climates occur just below the tropics, as in central Mexico and Guatemala. Tropical climates appear in the island regions and in the subcontinent's bottleneck. Usually of the savannah type, with rains and high temperatures constants the whole year. Found in countries and states bathed by the Caribbean Sea or to south of the Gulf of Mexico and Pacific Ocean. Notable plants that were domesticated in North America include tobacco, maize, squash, tomato, sunflower, blueberry, avocado, cotton, chile pepperand vanilla. Washington National Cathedral, in Washington, D.C.. The United States has the most people in the world identifying as Christian. Canada, the United States and Mexico host communities of both Jews (6 million or about 1.8%),Buddhists (3.8 million or 1.1%) and Muslims (3.4 million or 1.0%). The biggest number of Jewish individuals can be found in the United States (5.4 million), Canada (375,000) and Mexico (67,476). The United States host the largest Muslim population in North America with 2.7 million or 0.9%, While Canada host about one million Muslim or 3.2% of the population. While in Mexico there were 3,700 Muslims in the country. In 2012, U-T San Diego estimated U.S. practitioners of Buddhism at 1.2 million people, of whom 40% are living in Southern California. The most populous country in North America is the United States with 318.4 million persons. The second largest country is Mexico with a population of 112,322,757. Canada is the third most populous country with 32,623,490. The majority of Caribbean island-nations have national populations under a million, though Cuba, Dominican Republic, Haiti, Puerto Rico (a territory of the United States), Jamaica, and Trinidad and Tobago each have populations higher than a million. Greenland has a small population of 55,984 for its massive size (2,166,000 km² or 836,300 mi²), and therefore, it has the world's lowest population density at 0.026 pop./km² (0.067 pop./mi²). North America has also been witness to the growth of megapolitan areas. In the United States exists eleven megaregions that transcend international borders and comprise Canadian and Mexican metropolitan regions. These are the Arizona Sun Corridor, Cascadia, Florida, Front Range, Great Lakes Megaregion, Gulf Coast Megaregion, Northeast, Northern California, Piedmont Atlantic, Southern California, and the Texas Triangle. Canada and Mexico are also the home of megaregions. These include the Quebec City – Windsor Corridor, Golden Horseshoe – both of which are considered part of the Great Lakes Megaregion – and megalopolis of Central Mexico. Traditionally the largest megaregion has been considered the Boston-Washington, D.C. Corridor, or the Northeast, as the region is one massive contiguous area. Yet megaregion criterion have allowed the Great Lakes Megalopolis to maintain status as the most populated region, being home to 53,768,125 people in 2000. Northern Mexico, particularly in the cities of Monterrey, Tijuana, Ciudad Juárez, and Mexicali, is strongly influenced by the culture and way of life of the United States. Of the aforementioned cities, Monterrey has been regarded as the most Americanized city in Mexico.Immigration to the United States and Canada remains a significant attribute of many nations close to the southern border of the US. The Anglophone Caribbean states have witnessed the decline of the British Empire and its influence on the region, and its replacement by the economic influence of Northern America. In the Anglophone Caribbean. This is partly due to the relatively small populations of the English-speaking Caribbean countries, and also because many of them now have more people living abroad than those remaining at home. Northern Mexico, the Western United States and Alberta, Canada share a cowboy culture. Canada, Mexico and the US submitted a joint bid to host the 2026 FIFA World Cup.The following table shows the most prominent sports leagues in North America, in order of average revenue.